For registration, please complete the online form below. Once you receive a confirmation email from us accepting your registration, please settle the payment through ATM / over-the-counter bank transfer as soon as possible. Places are allocated on a first-come-first-served basis. 轉賬後，請將入數紙/客戶通知書相片傳送至 [email protected]。 Please send us a photo of the payment slip / customer advice to [email protected] after the transfer. It takes decades and many architects’ dreams for a city to be shaped the way it is. Have you ever thought of becoming an architect? 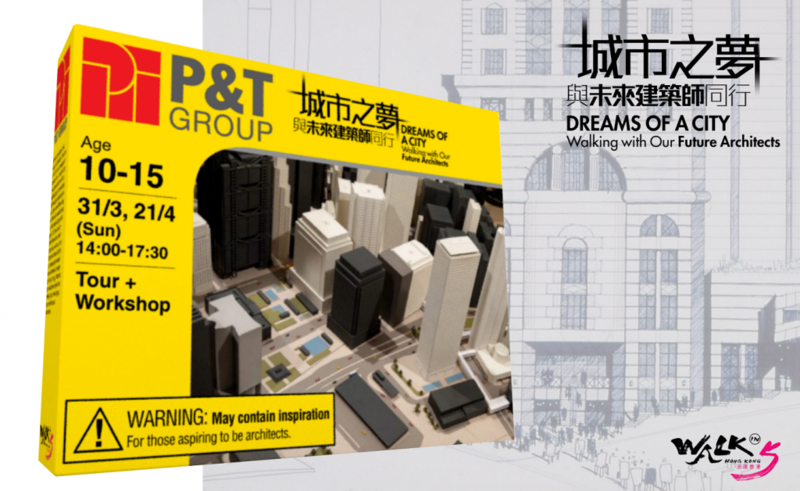 Come visit the 16th Venice Biennale International Architecture Exhibition – Hong Kong Response Exhibition and participate in our “Dreams of a City – A walk and talk with future architects” event, co-organized by P&T Group and Walk in Hong Kong! 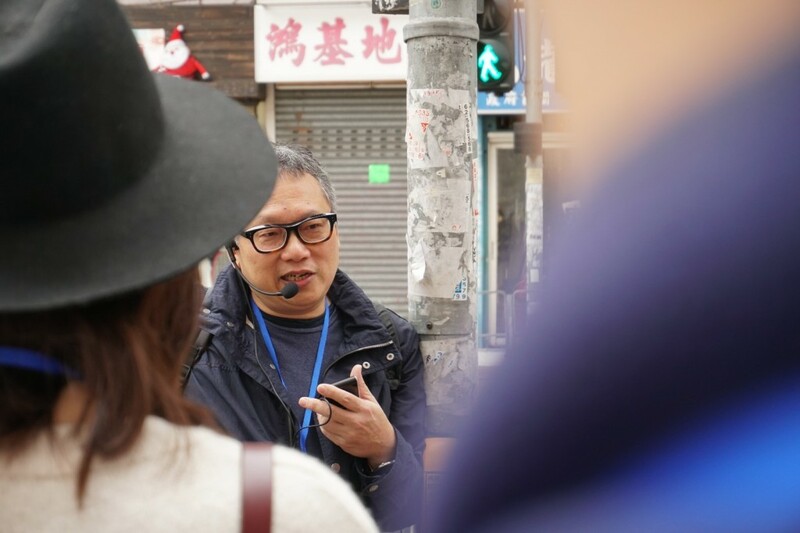 Join a walking tour to selected architectural landmarks in Central, followed by an inspiring talk led by three practising architects to share their vision of our future in echo with the theme of the Venice Biennale Exhibition. Anyone interested in pursuing Architecture as their future career are welcome. Please complete the online form below by 31st March, 2019 (Sunday). In case the number of applications exceeds the quota, allocation of places would be determined by a lucky draw. Successful applicants would be notified by email. The sharing session will be conducted in Cantonese. The following abstracts are for general reference only. A casual look at our city’s development through the history of one local architectural firm, the firm’s contribution in shaping our city and how their buildings affected our daily life. A sharing session of Steve’s career development as a local design architect in Hong Kong with the introduction of his design ideas and exploration of “Freespace” in different completed local projects as well as the elaboration of the concepts into different tower exhibits in the Venice Biennale Exhibition 2018. A sharing session of personal practice as a design architect involving Hong Kong and Mainland China projects which significantly differentiate each other through sustainable city planning & living style and how as an architect can mutually adopt the “density strategy” positiveness of two places, which echo with the experimental exploration of vertical tower design in the Venice Biennale Exhibition 2018. With interpretation of an individual human’s spatial cognition under varying spaces from small scale to one building, city or even natural landscape, an Architect organizes functions and at the same time builds up space which can arouse emotional connectivity of the public. In the perspective of the unique city context of Hong Kong, the speaker shares how she delivered such ideas into a vertical tower design for Venice Biennale Exhibition 2018. 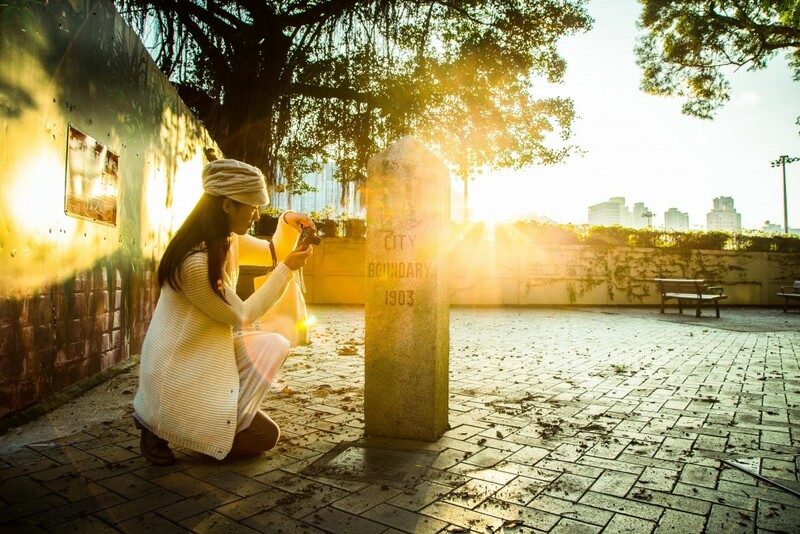 Disclaimer: Create Hong Kong of the Government of the Hong Kong Special Administrative Region provides funding support to the project only, and does not otherwise take part in the project. Any opinions, findings, conclusions or recommendations expressed in these materials/events (or by members of the project team) are those of the project organizers only and do not reflect the views of the Government of Hong Kong Special Administrative Region, the Communications and Creative Industries Branch of the Commerce and Economic Development Bureau, Create Hong Kong, the CreateSmart Initiative Secretariat or the CreateSmart Initiative Vetting Committee. It takes decades and many architects’ dreams for a city to be shaped the way it is. Inspire the next generation with a walking tour to selected architectural landmarks in Central and follow by an interactive workshop in which participants of age 10-15 are led to share their fresh and innovative vision of our future business district by creating their ideal new landmarks design for Hong Kong. Parents are welcome to join the walking tour and enjoy the workshop as audience. Please complete the online form below by 24th March, 2019 (for the 31st March workshop) or 31st March, 2019 (for the 21st April workshop). In case the number of applications exceeds the quota, allocation of places would be determined by a lucky draw. Successful applicants would be notified by email.